Until Roberta Kamille Pennell became a CLP Intern, the possibility of her becoming a Development Officer seemed remote. Here’s her story. After completing my university degree in the central part of Belize, I moved back to my hometown, Punta Gorda. Jobs were hard to come by and career options were limited. My colleagues made me aware of the Conservation Leadership Programme (CLP) and provided me with the necessary support to apply for an internship. I was ecstatic to receive an internship from CLP to learn how to become a Development Officer with Ya’axché Conservation Trust. Through the six-month internship, I was able to attend several trainings, establish a network of experienced development officers and receive ongoing mentorship. I was fortunate to work with a dynamic team who contributed enormously to my learning process. After I had completed the internship, Ya’axché hired me as their permanent and first Belizean Development Officer. I was later promoted to Development Director. In this position, I led fundraising and proposal writing, built the donor base, maintained donor relationships, expanded the membership programme, managed volunteers, led volunteer and staff recruitment and contributed to leadership decisions. I enjoyed every minute of it, learnt a lot, and was pleased to utilise my skills and knowledge to garner funds for the significant environmental work that Ya’axché does. Before the internship, I would have never thought it was possible for me to find a career in the environmental field that allows me to utilise my writing skills. However, I was fortunate to find a career opportunity that was not only appealing and interesting but also in high demand because there are so few development officers in the country. After three years in development, I became the Operations Director, responsible for the oversight of Ya’axché’s internal operations including donor reporting, human resources and finance functions. I have had the privilege of working in conservation for over five years and have thoroughly enjoyed it, but I realise that there's so much more I can do. Therefore, in 2016 I embarked on a Masters in Conservation Leadership at the University of Cambridge to foster my leadership skills and knowledge in an effort to expand my contribution to conservation. 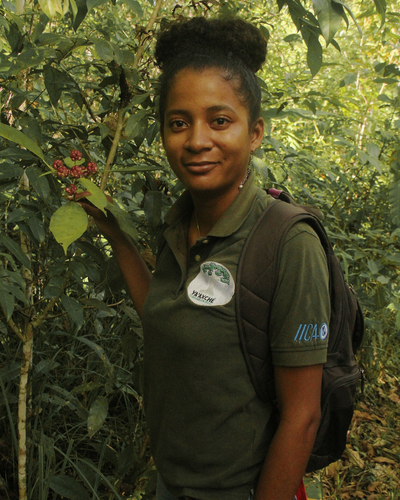 Belize is a young country, where there is a need to build the capacity of young conservationists in order to prepare them for future leadership posts. As a CLP alumna, I remain updated with current network activities, which I share with others in Ya’axché who could engage with CLP. I plan to continue acting as a CLP ambassador by supporting young professionals who could also benefit from joining the CLP network.